Among the sea of social media apps, news apps, and photo book-making apps I use – I have three kids! – is my mobile banking app. I bank at a “traditional” or “retail” bank, meaning it has branches, versus an online-only bank. That being said, I never go to a branch. Anything I need to do I can do using my mobile banking app: check my transactions, transfer money between accounts, or deposit a check. Believe it or not, these things that users have come to expect out of their mobile banking experience, I have had to figure out rather the hard way with my current mobile banking app. The user experience of my bank’s app has never been truly intuitive, though it has gone through multiple iterations. Banking apps should not make it difficult for customers to complete basic tasks. By continuously putting user experience first and applying the following adjustments to your UX Strategy, your bank is guaranteed to drive revenue through customer loyalty. The first time I used Venmo, an app designed solely for people to be able to electronically send money, I immediately noticed the intuitiveness of the app. A few months after I started using Venmo, my bank came out with an identical feature. I could send money to friends or family no matter who they banked with. That’s as much as I know about it because the idea of using my bank’s clunky app for a task I found myself doing frequently seemed overwhelming, so I stuck with Venmo. As more FinTech companies continue to disrupt, develop and innovate mobile banking applications, it will occur at the expense of lost market share for traditional banking institutions.The rising FinTech sector is making it easier making it easier for their customers to do more with their money. I, like many others, have predictable spending habits. I shop at the same places, I pay my mortgage, and I head to the grocery store at the same time. To keep an eye on my spending, I log into my banking app quite regularly. The reason I point out these things is that this is all data that the banks can use to help make me a “stickier” client. I get random ads sometimes when I log into my account, but they don’t happen as I take an action, nor are they personalized to me. There should always be a way to turn these kinds of alerts off, but banks know so much about their users, and using machine learning capabilities is one way they can use that data to try to engage more with their clients. Making banking apps more social. A big part of Venmo’s popularity comes down to the fact that they’ve tapped into the special sauce of why social media is so popular/addictive. You can interact with people, keep up with their latest transactions and see why they’re sending or receiving money for. Obviously, security is n essential consideration in banking, but for people that are willing to share, this is another outlet for banks to engage their audience, encourage product use, and compete in an increasingly competitive FinTech industry. Do people want to be able to brag about their savings account interest rate? What else are people comfortable with being able to show off in regards to their banking relationship? We work with our clients to run user group feedback sessions to find the answers to things like this. User feedback should be an essential consideration in designing an engaging user experience that extends beyond logging in and checking on account statements. Banking apps should no longer think of themselves as a one dimension account statement viewing portal. FinTech will eventually edge them out of services such as peer to peer payments (venmo), machine learning (mint), and potentially edge them out of being a provider at all in lucrative services. 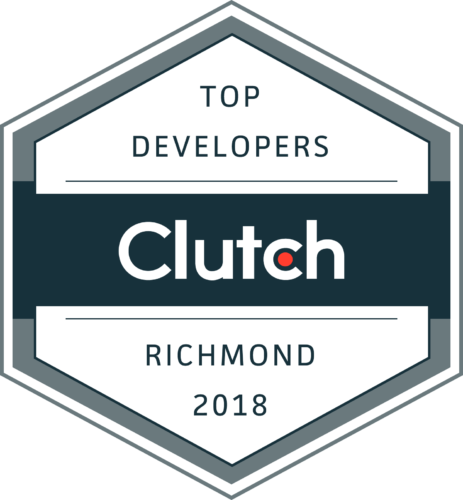 I am a project manager at Shockoe and I’ve worked with two large banking clients as part of my tenure here, and these thoughts are coming from meetings with them and our approach helping them stay engaged with their user base and attract more users through their mobile app solutions. What’s cool is our clients know we work together to create mobile applications that people use, love, and remember, and that sometimes the problems are even solved by the project management team.